Popovich veterans' day food stamps. NEW YORK, NY - NOVEMBER 10: San Antonio Spurs head coach Gregg Popovich looks on during the first half against the New York Knicks at Madison Square Garden on November 10, 2013 in New York City. 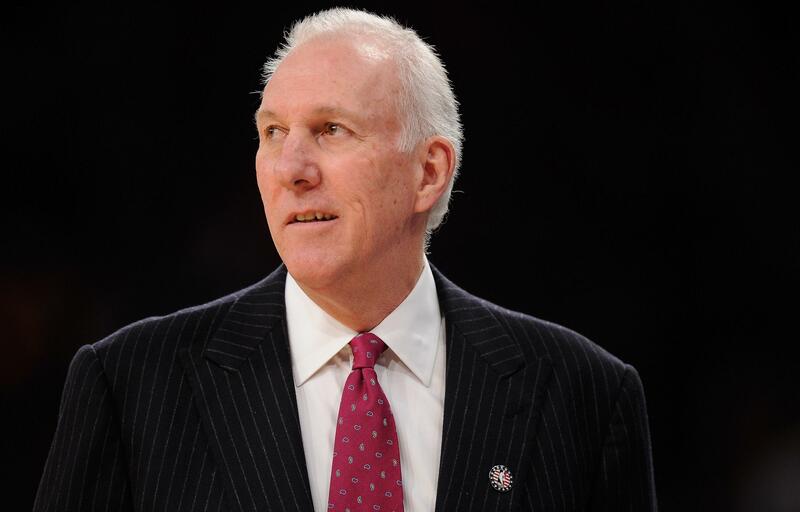 “In a lot of ways, it’s a joyous day if we all remember to honor people,” Popovich began. “But in some ways, it’s a sad day because (soldiers and veterans) don’t really get honored the way they should be. Some of it is just pablum. When it comes down to the nuts and bolts of what they need, they’re really not getting everything. Weirdly, though, USA Today headlined the story “Spurs’ Gregg Popovich says veterans not honored properly” as if he was complaining about insufficient obeisance being paid toward The Troops. And my wife (a die-hard Spurs fan) pointed out to me that the media generally did this with the headlining. The San Antonio Express went with “Popovich goes to bat for veterans” which, again, makes his remarks sound a lot more banal than they actually were.